Brad Plaster, associate chair and professor of physics in the University of Kentucky College of Arts & Sciences, lit up as he described his research. Plaster’s work has garnered national attention. 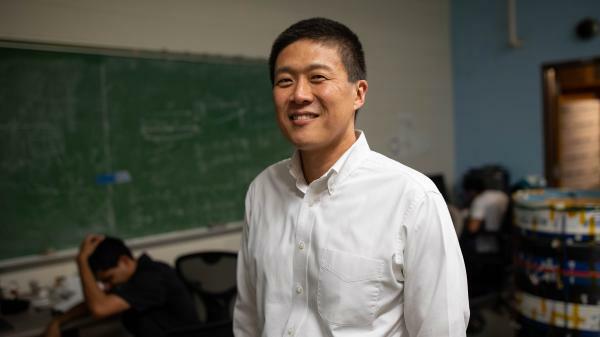 In the fall of 2017, he received a grant from the National Science Foundation for $184,863 to investigate possible flaws in the Standard Model of physics. That same year, he also received $1,425,000 from the Department of Energy to research Time-Reversal Symmetry violations by the neutron. Plaster’s research extends well beyond the EDM. He has studied the decay of the neutron for the past 15 years. Just as clear as his passion for research is his strength as a teacher. In 2018, Plaster received the Provost’s Outstanding Teaching Award. In addition to his skills as a teacher and researcher, Plaster provides valuable mentorship to graduate students. Before coming to the University of Kentucky, Plaster completed his bachelor’s degree and doctorate at MIT, and was a postdoc at Caltech. He joined the UK Department of Physics and Astronomy in 2007.